Galaxy Apps Store got the much-awaited update, earlier this week. 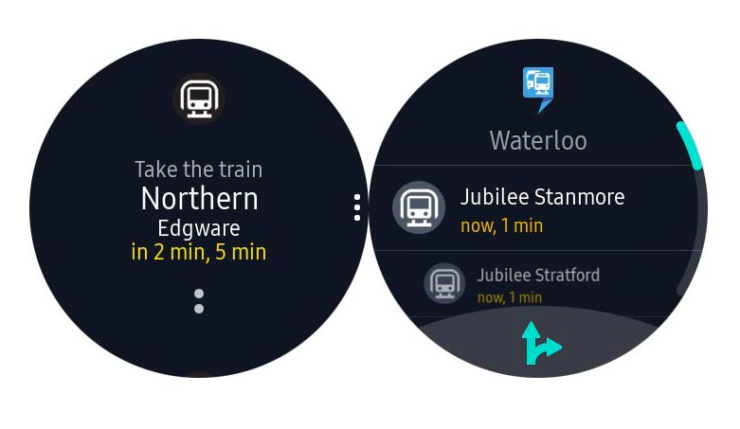 With that update, HERE WeGo app for the Gear S3 smartwatch has also got new features, which includes the ability to see public transit information right on the smartwatch display. Users no longer require to take out their phones to see if public transport is on time or running late. 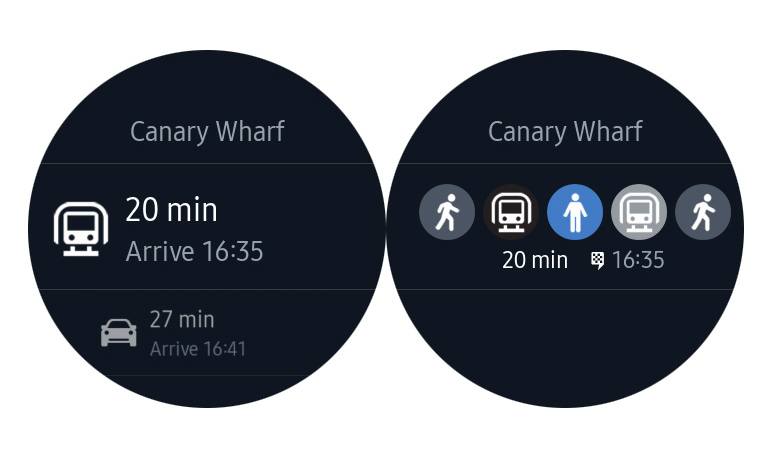 Also, the upgrade brings the companion mode onboard, which allows users to mirror the direction shown on the smartwatch to the phone screen, just in case you want a larger screen to point locations. With this new update, it will be pretty easier for users to get information about public transit as they will have the schedule right on their wrist. The HERE WeGo app was launched for the Gear S3 watch so that users can get directions on their watch screen, but with this new feature, they will get the info about public transportation and schedule. Also, companion mode will add to the ease with screen mirroring capability. The information about public transit gets updated in real-time, be it trains, buses, fairies, etc. Even the non-smartwatch users can make use of public transit information on HERE WeGo by installing the app on their Android smartphone. The app guides users about where to catch the commute and what’s the shortest route to get there. It will also inform the users about the stops and connecting locations. In addition to all the new features, the update for HERE WeGo app on Gear S3 also bring along bug fixes and performance enhancements. To install the latest HERE WeGo update on your Samsung Gear S3 smartwatch, open Samsung Gear/Gear S app on your phone, now open Settings, scroll down and select Galaxy Apps and from the list of apps select HERE WeGo, now tap on update button. It would be better if you install the update on a stable Wi-Fi connection.